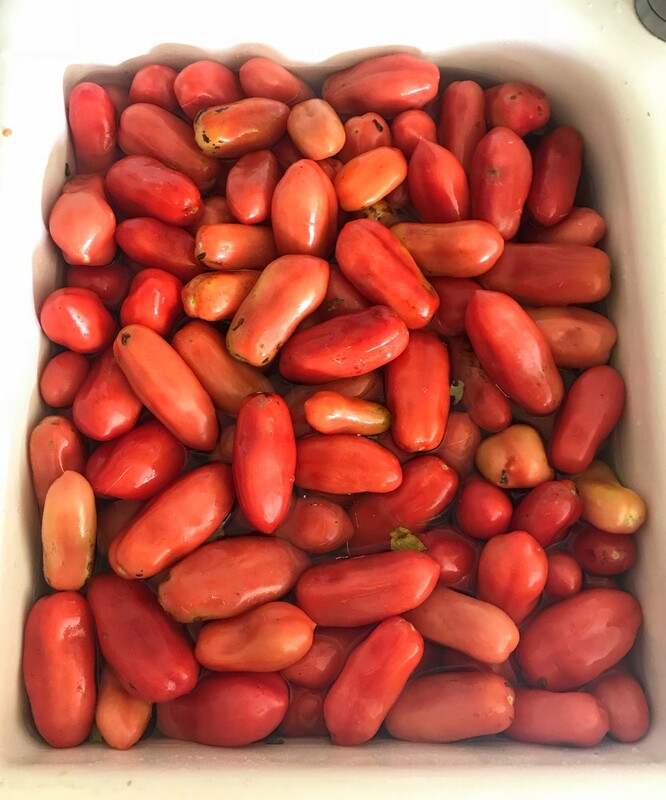 And there are still more tomatoes ripening on the vine. There is bound to be at least more bucket left. 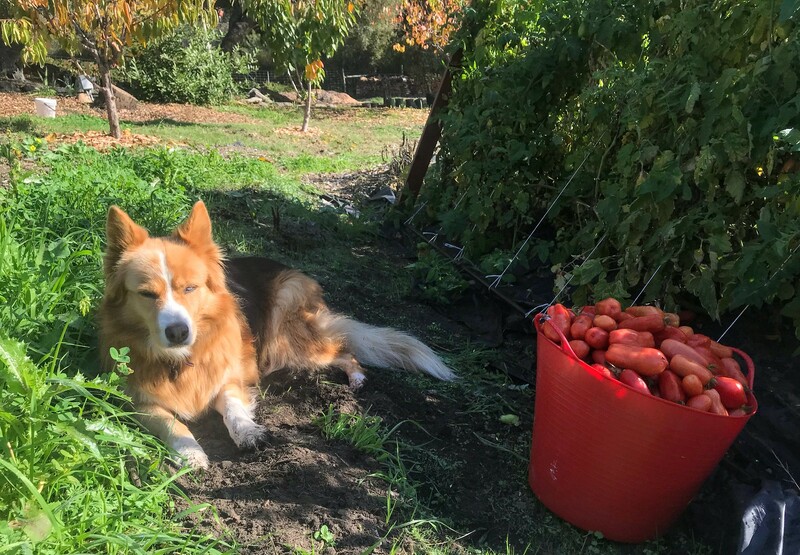 Honey was keen to keep me company as I picked tomatoes from the 3 beds we planted this year. 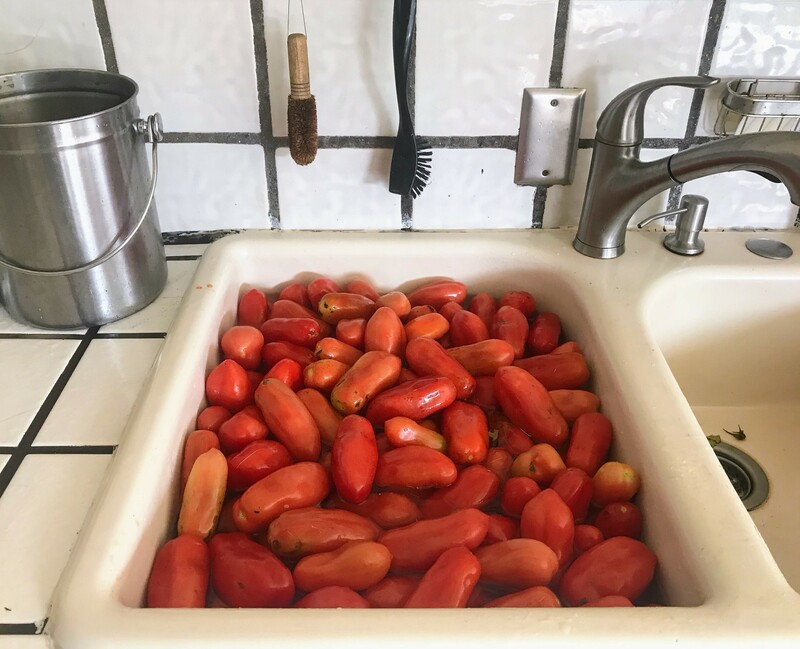 To prevent loss to mold, I immediately processed the harvest, starting with a water bath to rinse off the dirt from tomatoes that had fallen on the ground. The one bucket fills our (deep) sink to the brim. 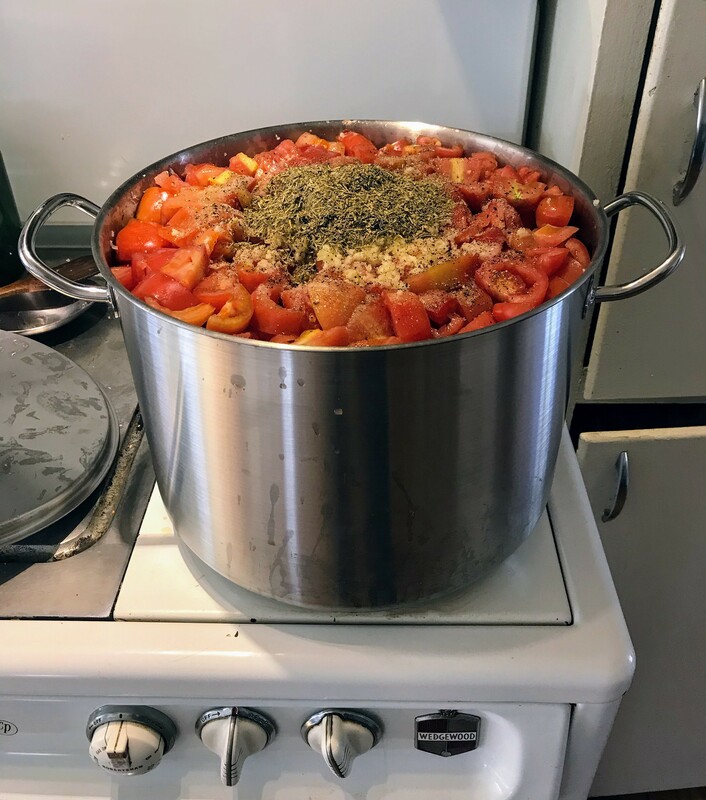 Each washed tomato is then cut into chunks, chuck any bad parts and tossed the good chunks into the 16-quart stock pot we bought specifically to cook produce in bulk. It just fits. 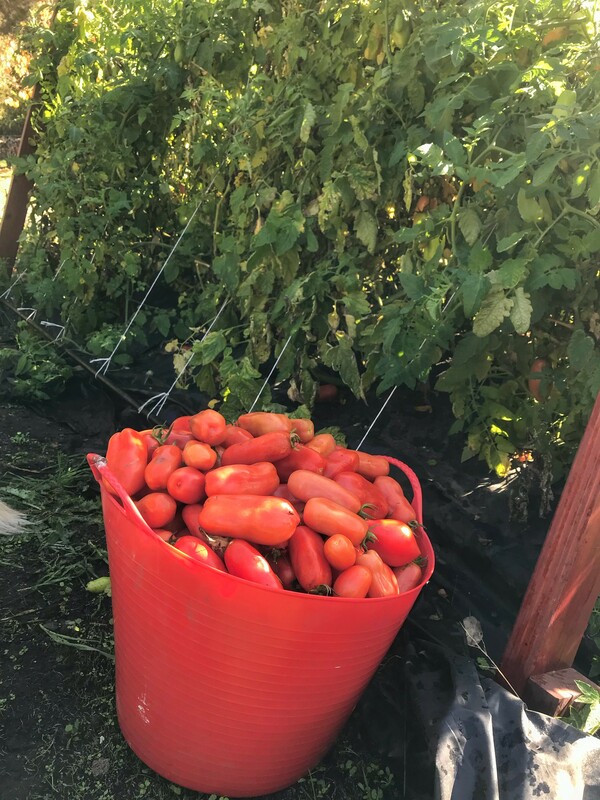 Good to know that 1 bucket of tomatoes can be processed in 1 16qt pot. 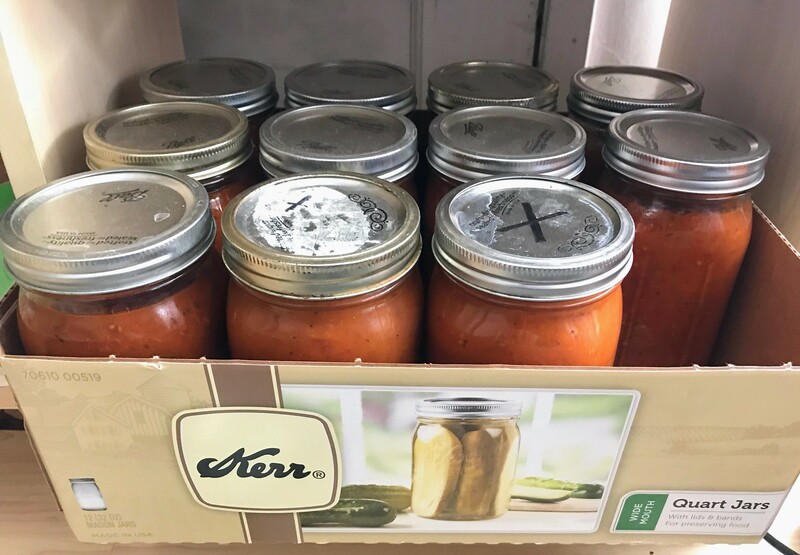 All in all, we produced 48 quarts of tomato sauce so far. That should get us through the winter. Last Friday evening Casper and I attended a Croissant Workshop through Cabrillo College Extension. Where learned how to "Lock the butter" and "Proof Croissants". And left with freshly baked croissants and dough to make more. #winning. Tatyana has two kilns in our basement art studio. Most of the time they are tucked away against the wall when not in use. To use them however, they need to be moved out from the wall. Which was a pain in the 🍑 to do. 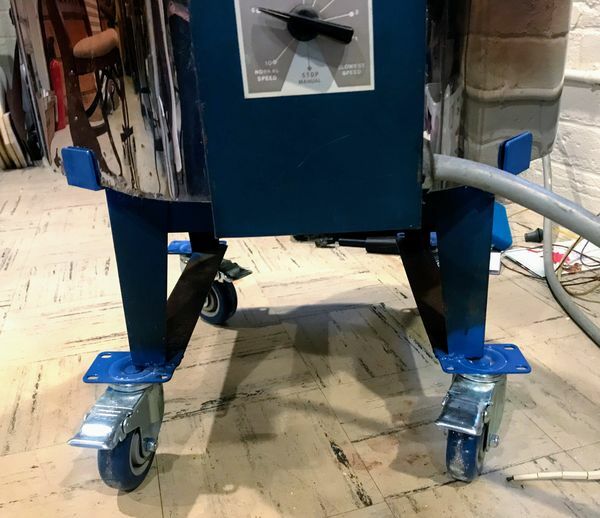 So I added 3" casters to the metal stands the kilns rest on.